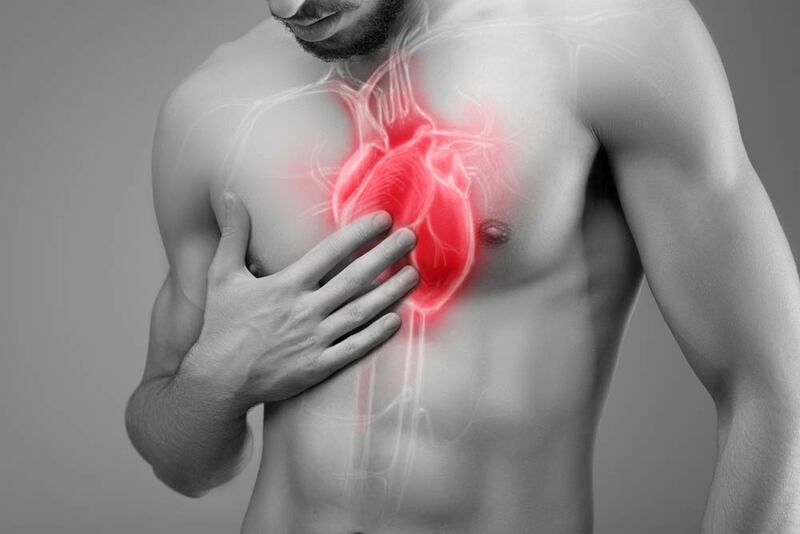 Heart disease is a serious problem that affects a lot of men around the world. It is sometimes described as a sneaky and silent killer because it can strike you without you noticing any significant changes in your body. It is not always like what you see in movies or television shows, where a guy having a sudden heart attack would clutch his chest, his face in agony, and then fall to the ground. At times, it takes a while for visible symptoms to manifest, when it has already done grave damage to your heart. This happens when your heart cannot properly pump blood for your body. It affects half a million Americans every year. This is characterized by a defect in certain structures of your blood vessels or heart formed before your birth. Its symptoms may manifest at birth, during your early years or teens, or once you reach adulthood. This occurs if your heart beats irregularly. In a healthy man or woman, the heart beats 60 to 100 times per minute. But, if afflicted with this disease, you will experience an uneven heartbeat, either very slow or very fast. This affects the arteries that ensure that the heart receives all the necessary nutrients and oxygen that it needs. If you have it, your arteries harden, and as a result, fail to do their functions. There are different types of heart valve disease, such as mitral valve insufficiency, mitral valve prolapsed, and aortic stenosis, and they occur if blood flow to your heart, which passes through your heart valves, are disrupted due to hardening, blockage, and others. 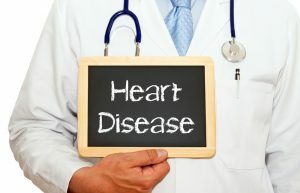 A disease that is also known as enlarged heart, it is when your heart cannot pump blood as well as it should because it is thickened, enlarged, or stiffened. Experiencing stomach pains and feeling like throwing up are not usually associated with heart problems. If you manifest these symptoms, the first thing that typically comes to mind is an illness that has got to do with your digestive and gastrointestinal tract. However, sometimes, they can occur during a heart attack. To be sure, see a doctor to get a clear diagnosis and prevent other risks. There are so many reasons for feeling lightheaded or dizzy. It can be caused by hunger or dehydration. It can also be due to standing up too quickly. 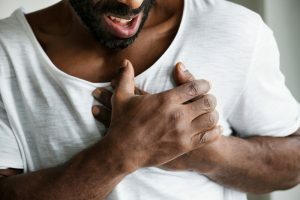 However, it can sometimes be a sign of heart problems, especially if accompanied by shortness of breath or chest pains. It is best to contact a medical professional right away to find out what is wrong. If you feel pressure, tightness, or a pinching or burning sensation in your chest, it is possibly due to a blocked artery or a heart attack. The discomfort can strike while you are engaging in physical activities or even comfortably resting, and takes several minutes to go away. The moment you feel it, you have to go to a doctor immediately to receive care and treatment. One common symptom of a heart attack is pain that stems from the chest area and spreads throughout the left portion of the body. In some cases, the pain can reach the arm too, putting you in an even more unbearable and excruciating situation. There is nothing odd or unusual in feeling tired and out of energy after doing a strenuous activity. However, if you get so exhausted and winded just by climbing up a flight of stairs, or walking a couple hundred meters to the bus stop, it may signify something serious. Unexplained and sudden fatigue can be a sign that there is something wrong with your heart, so you have to get examined as soon as possible. Coughing that lasts for a long period of time and is accompanied by pinkish or white mucus may mean that your heart is in trouble. If your heart is weak or not healthy enough to fulfill its responsibilities, it can result to blood leaking into your lungs. Visit your doctor right away to know the real reason and cause of your persistent coughing. A heart that is not healthy cannot pump blood as efficiently, causing bloating in the veins. It leads to the inflammation or swelling of some body parts, particularly the feet, ankles, and legs. If you experience this, you must go to the doctor immediately to determine what caused it and get it treated before it gets worse. The best treatment method for heart disease varies for each type. For heart infections, patients are usually prescribed antibiotics. For others, medications for maintenance or even medical surgery may be necessary. You should also do your part and commit to a serious lifestyle change of quitting smoking, drugs, and alcohol, eating a balanced diet, and exercising regularly to boost your heart health.